Trying out a new camera lens, we paid a brief visit to the Summit Metro Parks’ F.A. Seiberling Nature Realm. 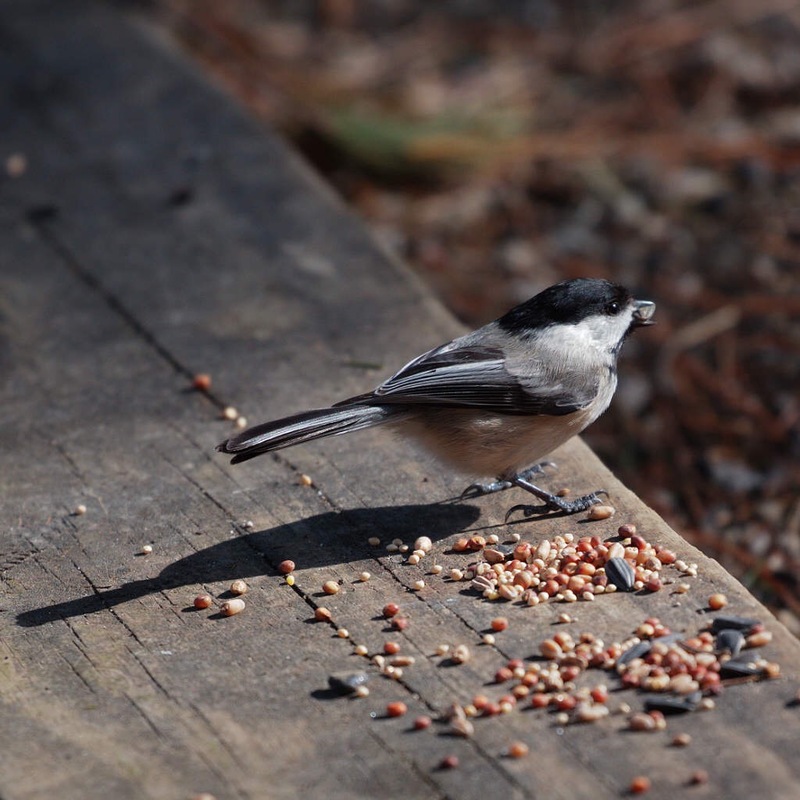 Always a favorite are the North American Cardinals, Nuthatches, and Black-Capped Chickadees that watch for visitors offering seed handouts. The birds watch the trail and, when visitors pause with hands out, come out of the woods to land close or on their human benefactors. The new Canon lens performed excellently well, as expected, focusing fast and accurately on my tiny subjects. Returning home, I did testing of another sort; I’m in the middle of a 10-day free trial of Affinity Photo, a very capable new photo editing software. As I grow more familiar with Affinity, I like it more and more. All that is missing is an integrated or associated light-table application. So today’s testing was enlightening and rewarding thanks to a fine little bird.